This mountain lake is 0.6 miles from Cottonwood Pass, making it an easy 8.2-mile round trip hike from Horseshoe Meadow. 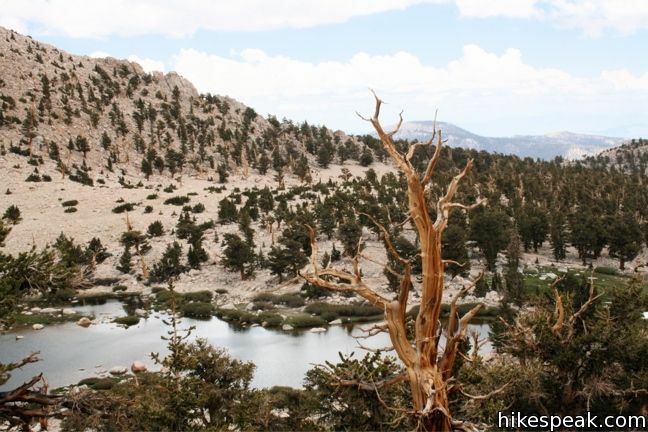 With just 1,330 feet of elevation gain en route to the lake, this is a desirable destination for day-hikers and a good first camp for backpackers. 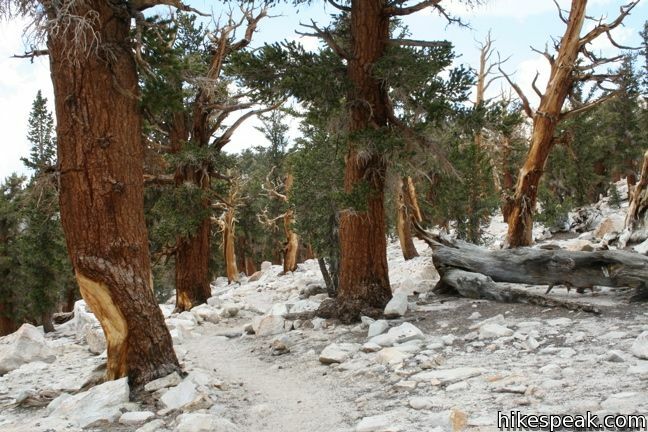 Follow Cottonwood Pass Trail to a junction at the pass with Pacific Crest Trail. 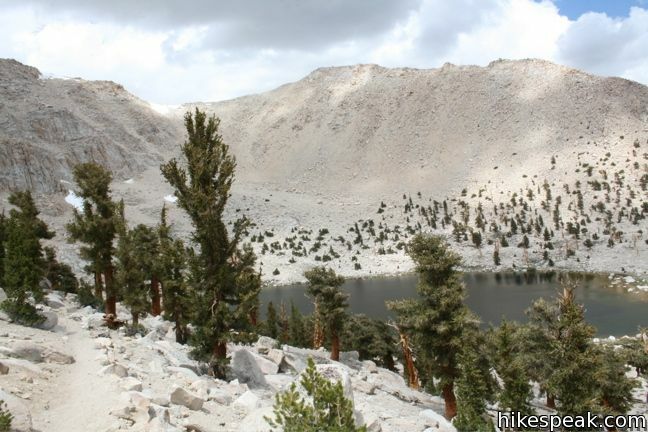 Turn right and continue through a rocky forest of Foxtail Pines. Chicken Spring Lake is set back a few hundred feet from the trail, but the alpine waters would be impossible to miss. Around the lake are several good places to set up tents. As with all liquid bodies in the park, regulations require that visitors camp at least a hundred feet back from the water. At 11,250 feet, campfires are also prohibited. 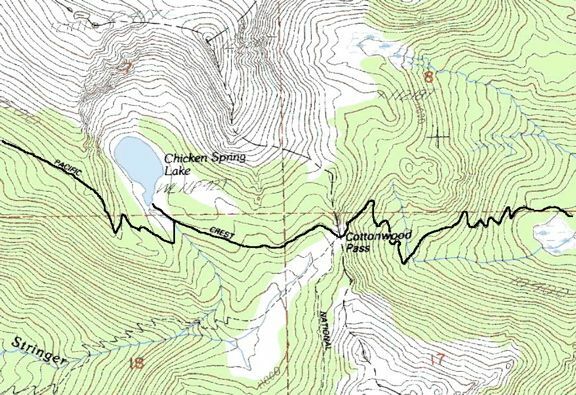 The Pacific Crest Trail continues past Chicken Spring Lake toward the Siberian Outpost, Rock Creek, and Lower Soldier Lake. 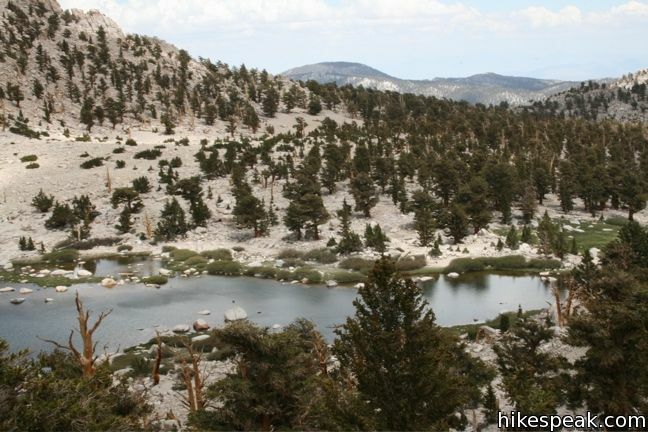 Those only hiking into the Golden Trout Wilderness for the day owe it to themselves to continue up the trail another quarter mile to the top of a mound west of the lake. 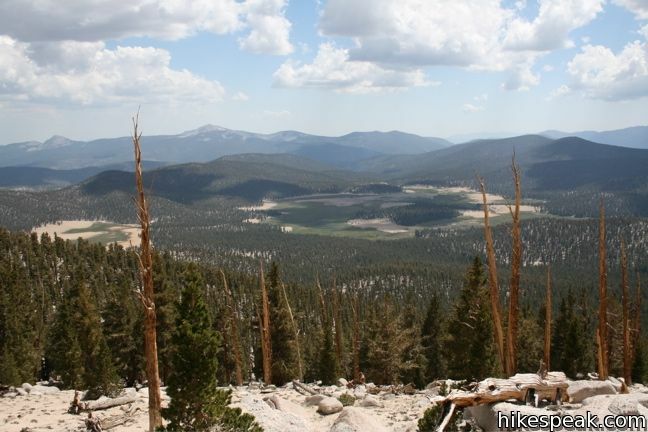 Here you will enjoy expansive views down on Big Whitney Meadow and beyond. 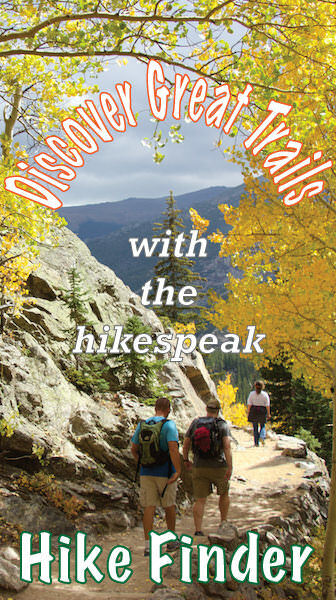 A popular day hike from Chicken Spring Lake is the off-trail scramble to the top of Cirque Peak. 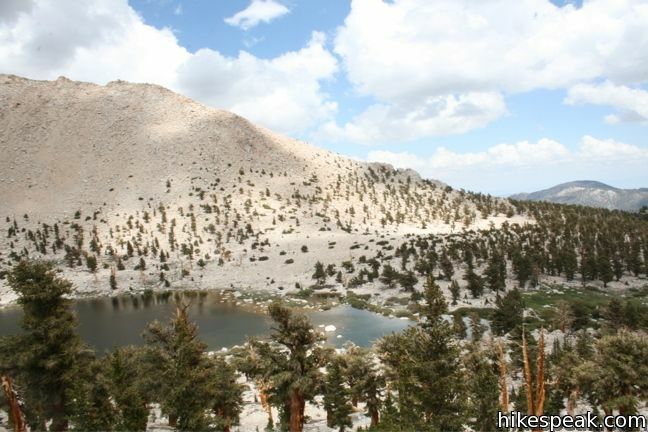 The 12,900-foot summit stands over Chicken Spring Lake and serves up a commanding view of the area. The two-mile 1,650-foot ascent can be conquered by breaking from the PCT and swinging north up Cirque’s western slope to the summit. To get to the trailhead: From the city of Lone Pine on Route 395, turn west at the traffic light on Whitney Portal Road. After three miles, turn left on Horseshoe Meadow Road. Drive twenty miles up mountain switchbacks to road’s end at Horseshoe Meadow. The Cottonwood Pass trailhead is at the east end of the campground. This 12,900-foot summit can be reached via off-trail ascents from New Army Pass, Cirque Lake, and Chicken Spring Lake. No (unless one was added recently). You will need to bring a bear canister.